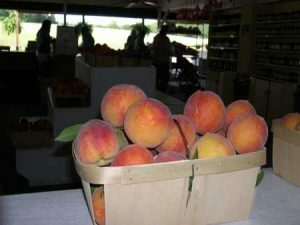 The Edgefield Advertiser print edition of June 18 will be an exciting issue as it features the upcoming 44th Annual Trenton Ridge Peach Festival with stories of folks who live there, work there and gained from their roots there. Kate Lowish tells the story of Beth Black Padgett and her devotion to the automobile, that has culminated in car shows and an upcoming Cruise-In. Beth grew up in Trenton, that quaint and endearing community that everybody loves. The workers at the Trenton Post Office offer stories of personalities who work at the PO, present and past, and are the Grand Marshals for the festival parade. Their stories are of contributions to the community and of personal strength and devotion to their work. And the husband of one worker offers a story not to be forgotten. Ridge Spring is preparing for a special WWII event, celebrating the lives of three men from their area who served. This article can be found in the edition of the 18th. Minutes on the Ridge, first heard on the local radio, is now in print in this newspaper, and number four of these entries is about Ward. Two local historians, Carol Hardy Bryan and Owen Clark created these submissions. Special advertising makes this edition possible, ads that come from the community and giving salutes to Trenton and their great festival. Thank you, advertisers. Subscribe to The Advertiser to have your copy delivered each week, or pick yours up at local stores and stands.